Edmond is one of the larger cities in Oklahoma, so there are a lot of things to do. 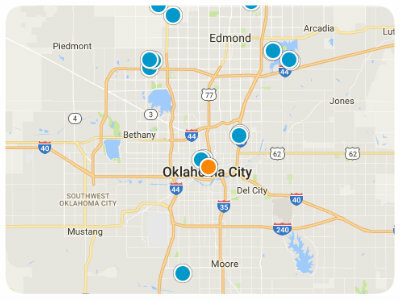 Because of the close proximity between Edmond and Oklahoma City, any of your destinations are easily accessible. 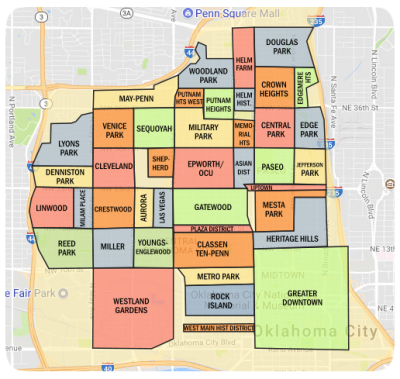 The City of Edmond also provides complete utility services, including electric, water, sewer (wastewater), solid waste (trash) collection as well as stormwater services. Rest assured that the services are provided at very competitive rates and in compliance with all State and Federal standards. In addition to that, since 2009, Edmond has been offering free bus rides and paying a chunk of the cost from the general fund, something that doesn’t typically happen with public transportation systems in any other states or cities. Experience paradise at Lakeside of Oakdale, absolutely one of Edmond’s beautifully built community especially for you and your family. It is an exclusive and privately gated neighborhood located at east Edmond, off Air Depot & Hefner Road with easy access to I-35. Lakeside of Oakdale offers new and executive level homes in Edmond on grand estates complete with amenities for every member of the family to enjoy. Residents has access to this marvelous and relaxing 23 acre ski lake, wooded walking trails with scenic view, and beautifully landscaped cascading waterfalls. In addition to the remarkable amenities here at Lakeside of Oakdale, residents and families are wooed by the highly rated and award-winning Oakdale school district where you will find state of the art facilities and a low student-teacher ratio. Schools servicing the area are Oakdale Elementary, Oakdale Middle School and Memorial High School. Homes here at Lakeside of Oakdale are built with quality finishes by some of the state’s highly regarded and well respected builders to cater to everyone’s needs and wants. The marvelous entry opens up to a fabulous and stunning home. Large and spacious rooms with custom designed floors. Eat, dine and cook amazing meals for your family and friends at your open and warm gourmet kitchen with granite countertops, a butler’s pantry with special lighting, stainless steel kitchen appliances and custom built-in cabinets. Retreat and relax at your master suite complete with extraordinary walk in closet, master bathroom complete with an H&H bath and a whirlpool tub. Your kids will also enjoy their cozy room all in great sizes, with access to bathrooms and fantastic study. The list of the awesome features of your next home continues! It is a definite must-see for everyone.